UH’s transformation in the past few years is no stroke of luck — under the leadership of President Renu Khator, we’ve gone from underdog to top Cougar. Her vision is unstoppable, but there’s even more work to be done: more health care innovations to be discovered, more world-class facilities to be built, more athletic titles to win, more art to create and more service to perform in our Houston community and beyond. Between our home in the nation’s fourth-largest city and our 14 colleges and schools, we have the tools to make a real change. Are you with us? People are what make this powerhouse go. When you picture UH, picture this: students preparing for meaningful careers. Faculty changing lives in the classroom and lab. Staff members engaging in campus initiatives. Whether we’re raising the roof or raising support for each other in our Houston community and around the world, Coogs care. Show them you have their back. We’ve got spirit, yes we do – and there are 14 different colleges and schools to get excited about. From philosophy to pharmaceuticals and sculpture to subsea engineering, our students, faculty and researchers are making waves in every corner of campus. What do all our colleges and academic centers have in common? They are UH, and when you support UH, you are supporting a dedication to academic excellence. Volunteers contribute their time, talent, and are treasures to the University of Houston. From deductions to donor rights, we’ve got answers to your giving-related questions. You make this powerhouse go. Find out how your support benefits the Cougar community. Need more information, or just want to say hello? We’d love to hear from you! 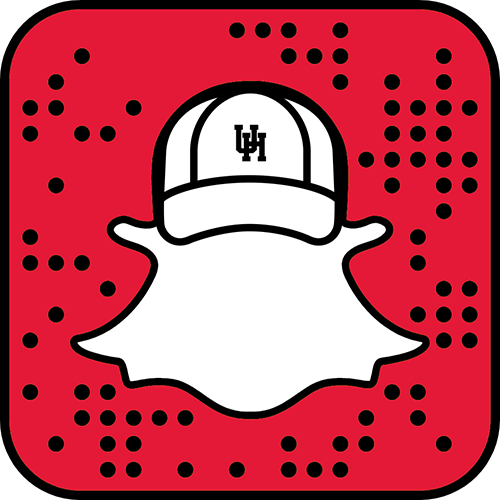 Keep the Cougar spirit strong: find UH activities and constituent groups near you!